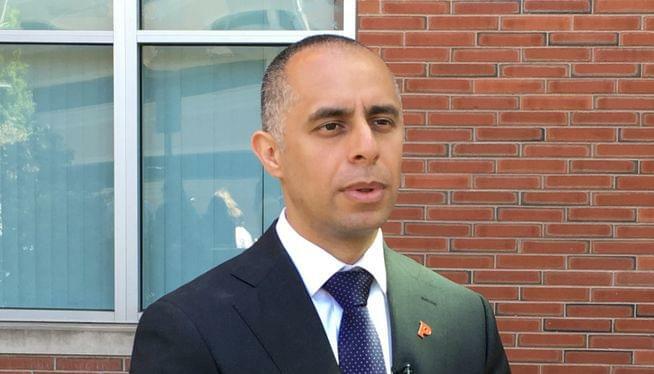 As Providence school bus drivers reach the third school week of their strike, Mayor Jorge Elorza has put his foot down. Governor Gina Raimondo also weighed in on Friday. She said it’s time for the drivers and bus company First Student to come to an agreement, and that Elorza did the right thing by giving them an ultimatum. “I’ll use every tool at my disposal to do everything that we can to force a settlement. But… the reality is this is a private contract between two private entities and so we’re going to do everything we can, but there are limits,” she said. A First Student spokesperson said the company and members of the bus drivers union have been speaking over the phone on Friday.